Bema is an avid dreamtime traveler and teacher, who loves sharing her experiences and adventures for others to benefit from. Crazy... or Just Serious Dedication? 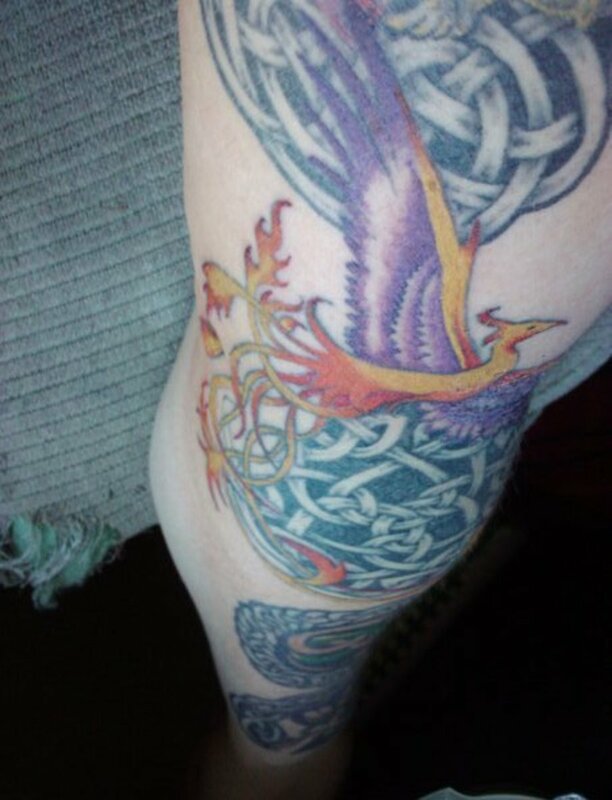 I've had the unique opportunity to chat with a few folks who have gotten some of the tattoos we'll be exploring below. Something that they all have in common—besides tattoos in some serious places—is that they are truly dedicated to showing the world what their souls look like. 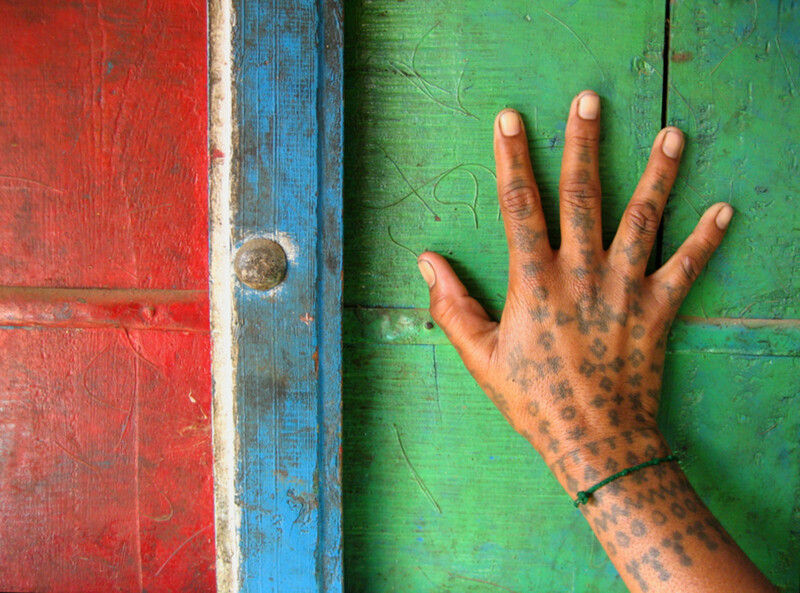 They believe that their tattoos reveal their inner selves; it's not really about the shock value. So, while I definitely think these tattoos are way on the extreme side for me, if they are what you want, more power to you! This extreme tattoo art form became popular within the last 10 years because of a tattoo artist in Australia who wanted to fulfill his friend's dream of having blue eyes like they do in Dune. Truthfully though, tattooing the eyeball (like most tattoos) started centuries ago. The difference, though, is that in ancient times, this was a tattoo meant only as a cosmetic means of covering up the signs of cataracts on individuals who were already blind. 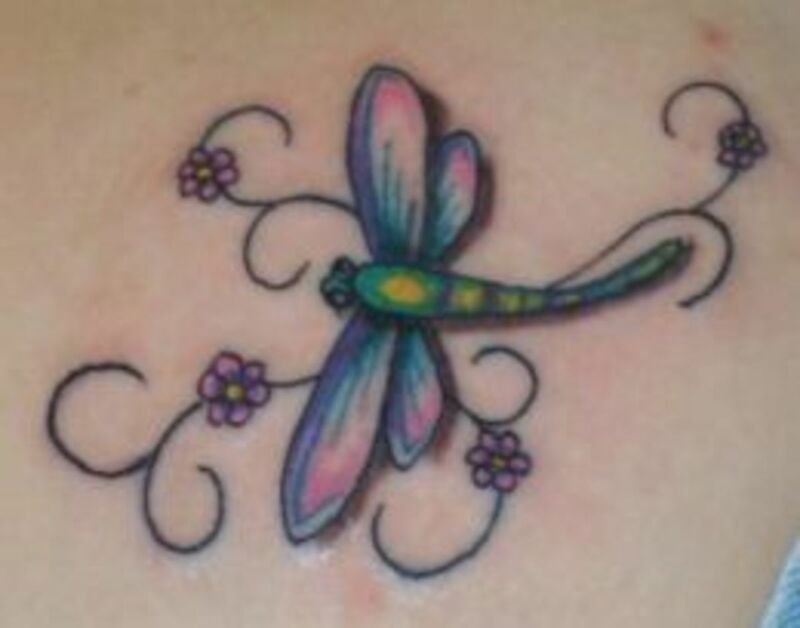 This tattoo is at the top of my list, not because of the pain level, but because the person who chooses to get this tattoo has to have an extreme amount of control over their fight or flight reflex. The eyeball does not actually have any pain receptors outside of the cornea. That means it doesn't exactly hurt (though it will sting!) to get an eyeball tattoo, but you still have that monster tattoo machine with the needle at the tip, rotating and puncture everything it touches hundreds of times every minute. It's definitely no joke to be able to sit still and keep your eyes gazing forward as your artist bears down on you with their needle and inserts pigment into the flesh of your eyeball. 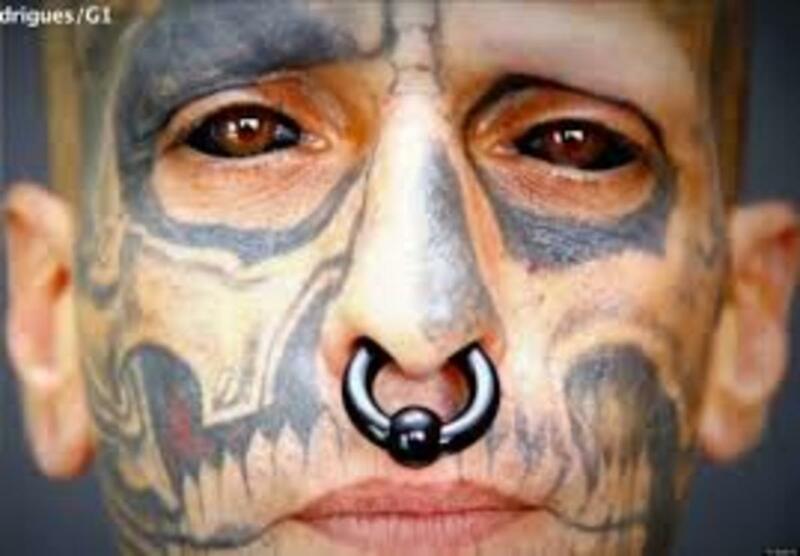 On top of that, there are incredible risks involved with eyeball tattoos, even more so than your average tattoo. Along with the risk of infection, permanent inflammation and scarring, you could also go blind. These are extreme risks because even if the artist does everything right, you could still go blind. It really depends on each person, each artist and each situation. There's just too much risk in it for me, no matter how wicked the end result may be. Would you get an eyeball tattoo? I would never ever ever ever ever ever ever ever ever! I couldn't! That's too scary! Totally! I already have one! I'm planning mine right now! 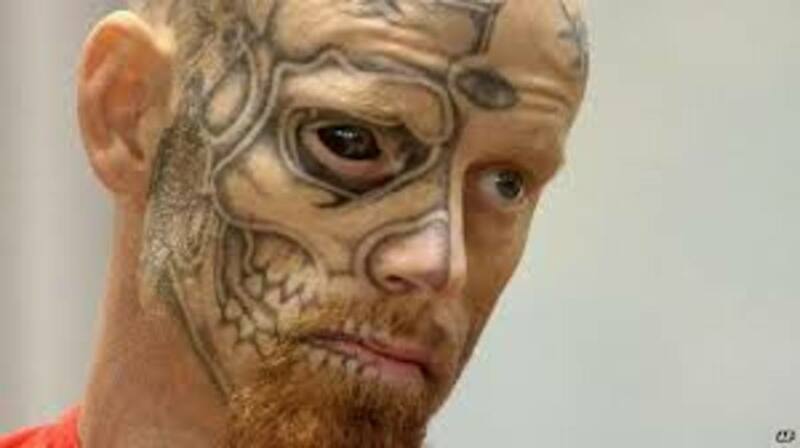 Similarly to eyeball tattoos, these tattoos give me goosebumps just thinking about having a needle anywhere near my eyes. That being said, this tattoo type hits number two on this list because on top of having a needle tapping around your eye, you've also got the element of serious pain involved. The skin and membranes that make up the eyelid are thin and full of tons of tiny and very sensitive nerve endings that will feel quite spicy during and after an eyelid tattoo. 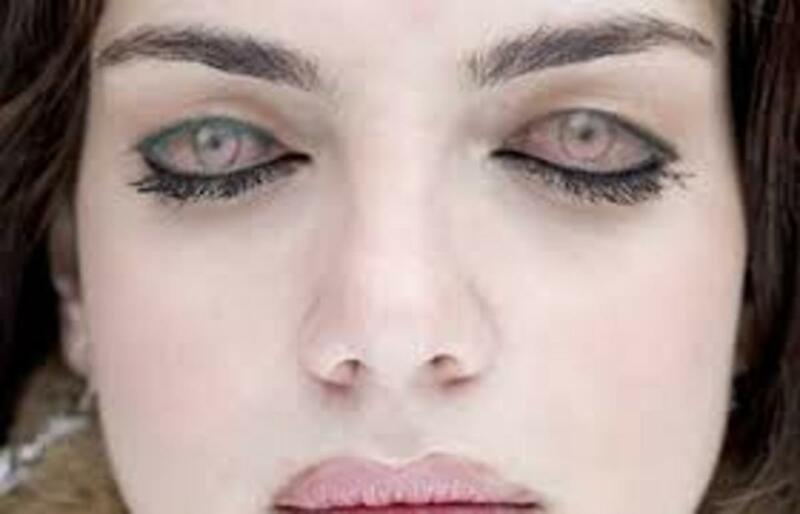 Unlike eyeball tattoos, eyelid tattoos are much more prevalent, but they don't enjoy as rich a history as eyeball tattoos. That being said, they are gaining in popularity just as much. Nail bed tattoos hit number 3 on this list, not for the extreme location, but for the extreme pain involved in getting this tattoo. If you've ever smashed your finger or had the fingernail or toenail ripped off, then you might have somewhat of an idea as to how painful a nail bed tattoo is. It certainly isn't for the faint of heart, as it is often described as feeling like the tattoo machine is drilling into the tips of the bones in the finger or toes. 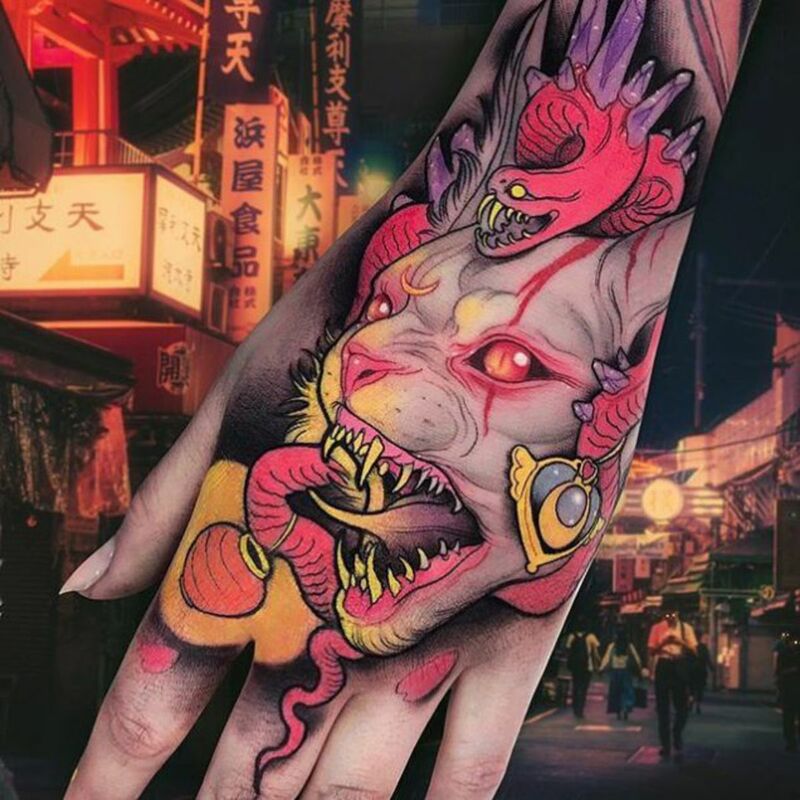 These tattoos are quite uncommon, mostly for the pain level, but also because the people who get them, often wait until they've already had an unfortunate nail accident. I have yet to hear of anyone having their nails removed just for the purpose of getting this tattoo, which would truly be crazy. The serious dedication to your inner canvas and having it permanently displayed on your face. The skin that makes up the area we call "a face," is very very thin and rich with nerve endings, pores and imperfections. 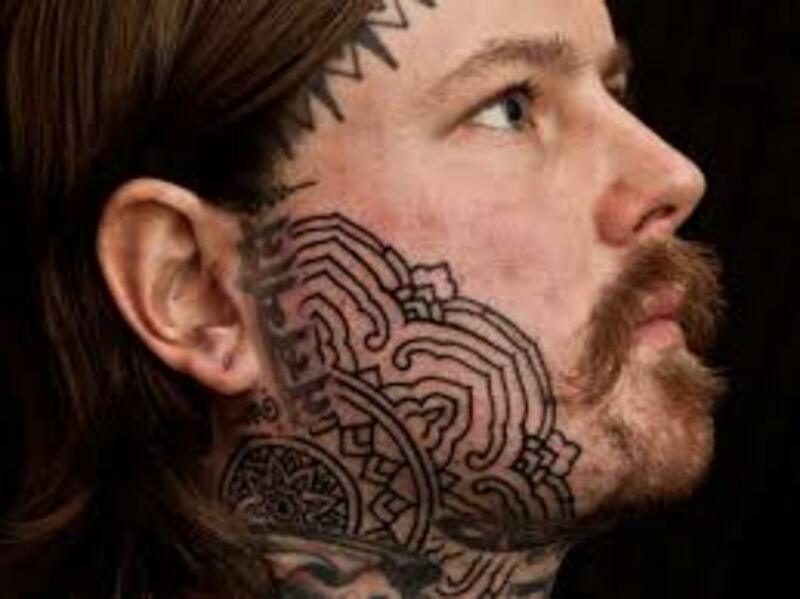 This means not only that it will hurt, but that your tattoo artist is more than likely going to have to break up your facial tattoo into several sessions, even for smaller tattoos. Not only that, but because the skin on your face is so thin, used so often and so often exposed to the sun and other harsh elements, you're going to have to get the tattoos freshened up pretty regularly. 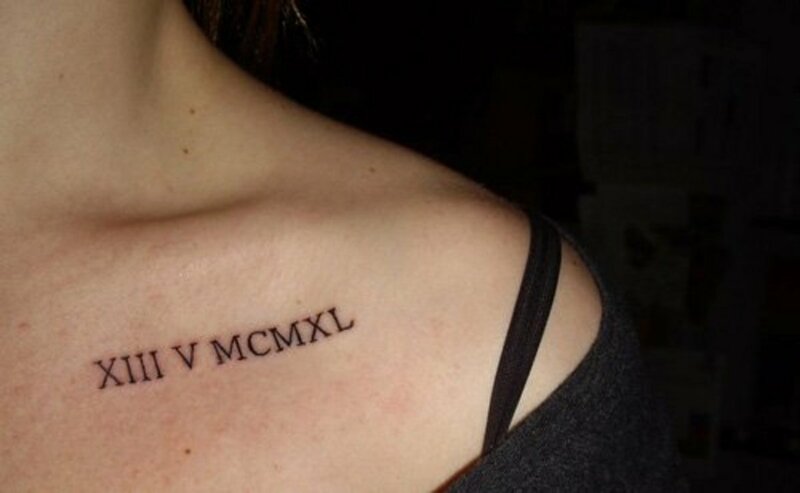 That's 3 times the pain of your average tattoo, even if you've got a pretty good pain tolerance. 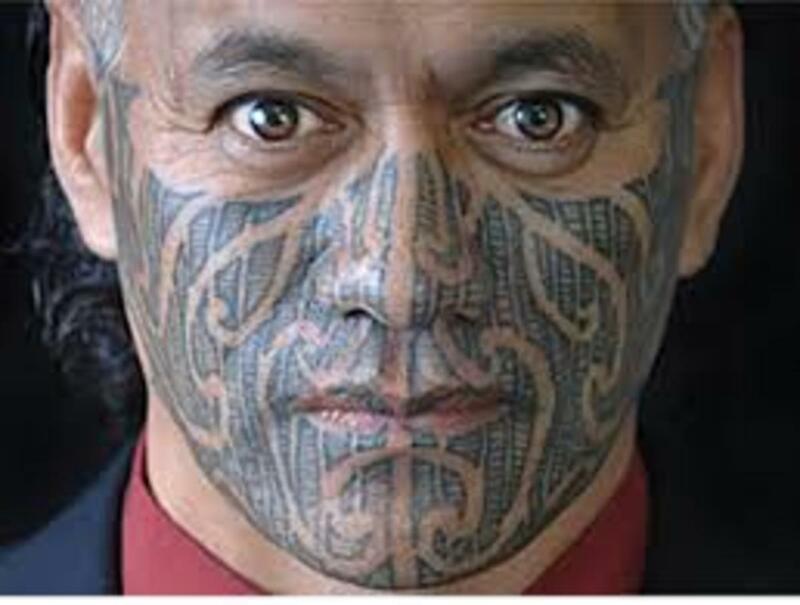 That being said, it's obviously a doable tattoo, as many cultures with a rich and ancient heritage have been displaying their facial tattoos proudly for thousands of years. Imagining the mouth and a needle together makes me cringe, and I know I'm not alone. Although oral tattoos are not at the top of the list of the most painful tattoos, they are seriously uncomfortable. Not only do you have to stretch open your mouth for any oral type tattoo, but you're going to be spitting out ink loogies for hours afterward (yuck!). 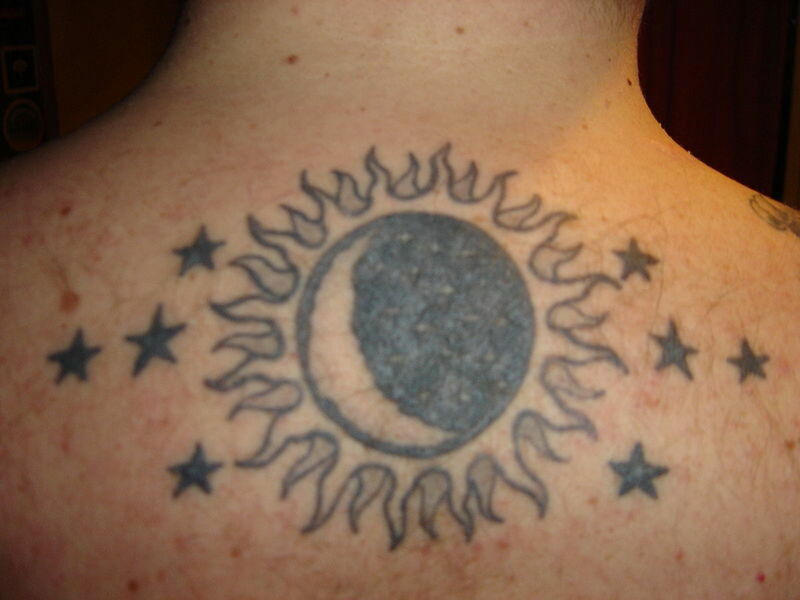 Some of the oral tattoos I would rate as more extreme would be the roof of the mouth, the inner lip, and the gums. Those are not only the most painful, but they are the most difficult to access and get ink into, meaning much more work for the artist and the canvas. I've been told that tongue and tooth tattoos are not too painful, and while inner cheek tattoos are uncomfortable, they aren't so bad either. 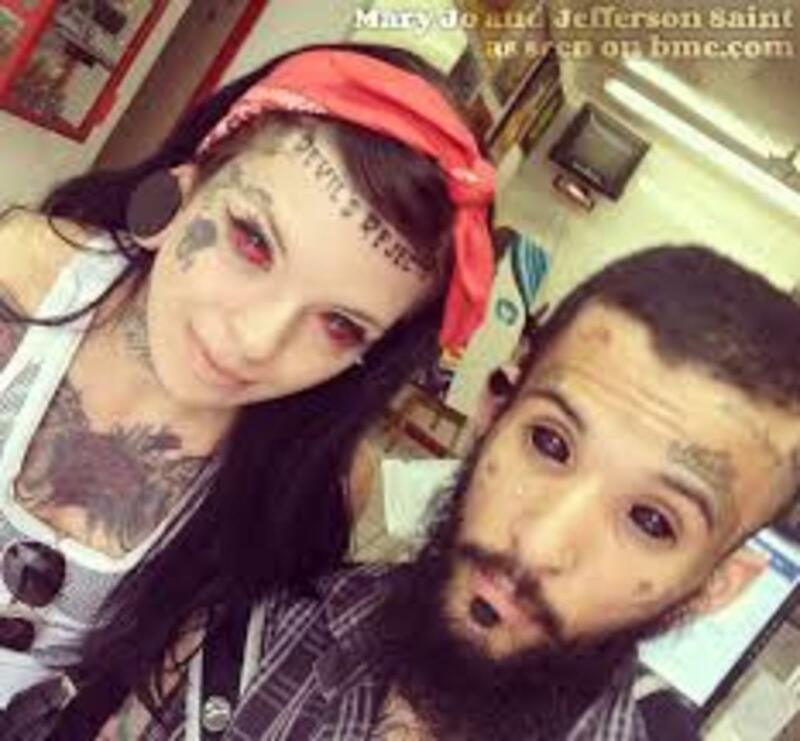 Oh my God, them eyeball tattoo's are really weird. I'd never get anything like that done! 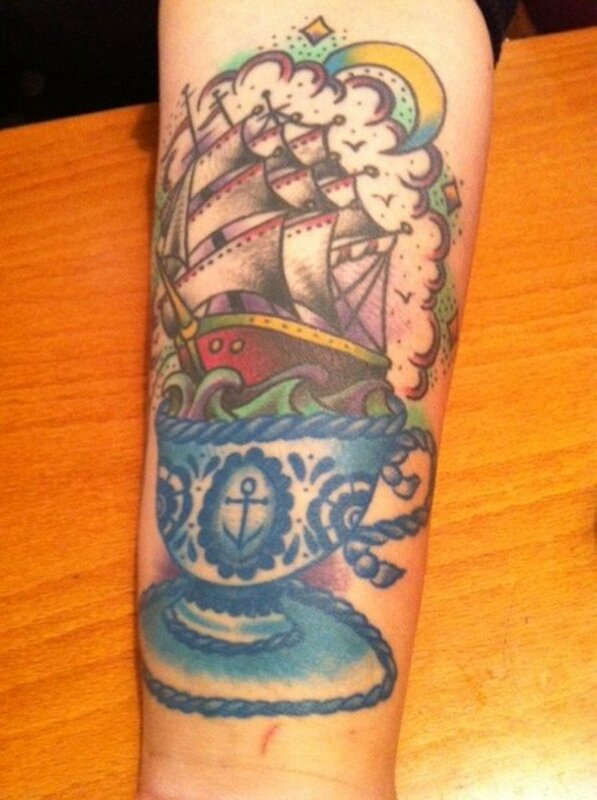 I've got a small tattoo on my arm, but I'll stop there I think! This article was scary but liked it.